This week started the Valentine's Day parade of red, pink, and heart shaped trinkets at the stores. Most of the love inspired items were still being unboxed at some, and I can't wait to see all of it on full display next week! Here are some of the newer items to get you into the happy heart mood. Do you love Valentine's inspired finds? 1 VS Mini Heart Bag $12 This adorable display of heart beauty bags caught my eye yesterday while shopping the sale. 2 Nadri Heart Bracelet $18.97 ($38) This is one of my favorite brands to buy on sale and these pieces look more expensive than they actually are. Check out Nordstrom Rack in person to see even more from the collection (which was originally out during the Anniversary sale). 3 Snakeskin Scuba Skirt $24.99 Wow, I saw this in person last weekend and it does not look like a skirt that only costs $25, you can dress it up or down for a cool modern look. 4 F21 Ballet Flats $10.90 I love a chic ballet flat so I'm hoping they are also comfortable like my favorite Old Navy shoes, had to try them out at this price and I didn't have a red pair. 5 F21 Tote $3.90 A cute way to display "love" with a reusable bag. 6 Elle Graphic Tee $19.99 Fashion tees are always high on my list and this collection looks so much like Zara's popular t-shirts. 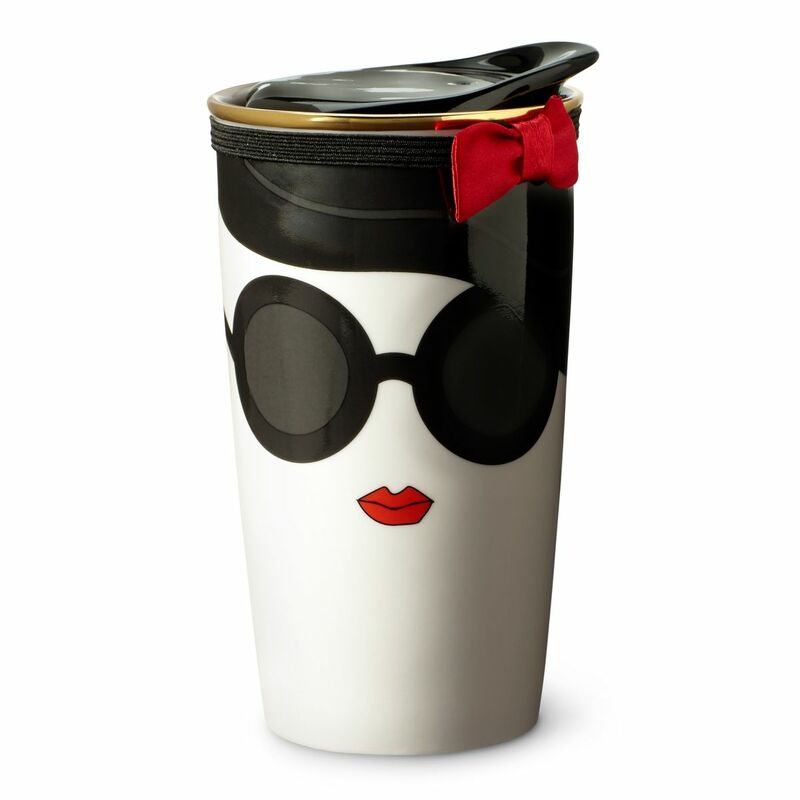 7 Starbucks Tumbler $16.95 In case you missed out the Alice + Olivia mug and who didn't? (in stores I'm told very soon! ), this one is also super cute and a sweet way to display your flowers or hold makeup brushes. 8 F21 Heart Shaped Glasses $5.90 I was so excited to see these sunglasses again at my store, I don't know if I'm actually going to wear them, but look adorable on display with my jewelry. The swoon-worthy Alice + Olivia tumbler - in stores soon! share it with you when I get any info. 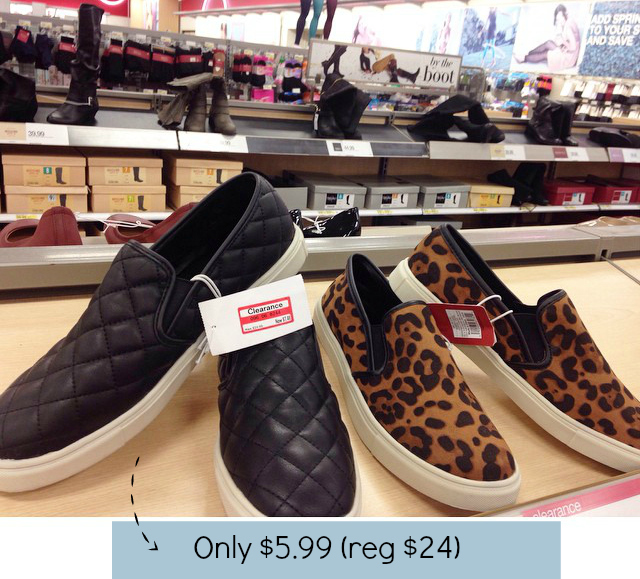 Check out your Target store to see all the new markdowns and save an extra 20% off clearance clothing, shoes, and accessories with the cartwheel app! I didn't realize that Starbucks mug wasn't in store just yet. It's SO pretty!! I cannot wait for the Valentine collection to hit the stores! I thought the Alice + Olivia tumbler was an online exclusive? Will it be in stores for sure? I've been so bummed that I didn't order it when I initially saw it. Thanks for the tip! I'll be stalking Starbucks from now until then!